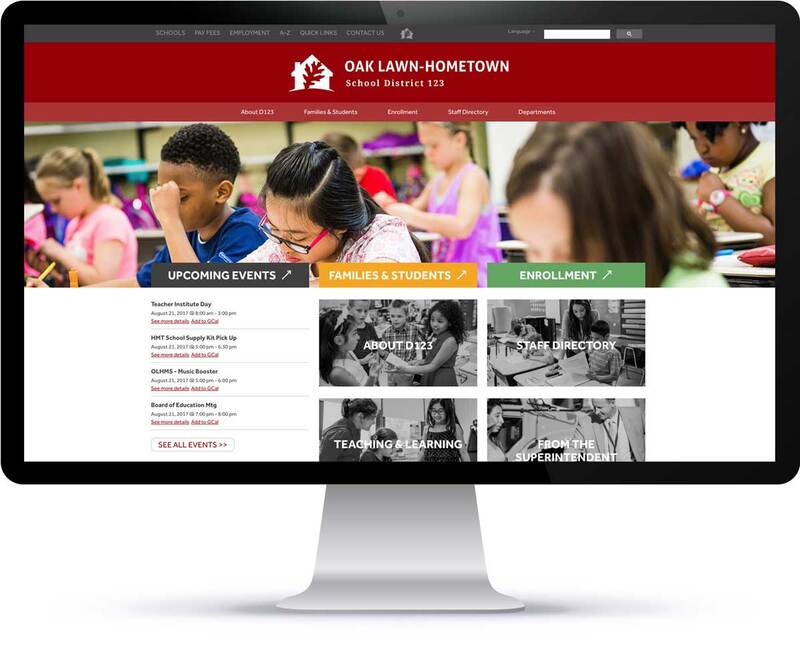 District 123 came to us looking for a WordPress-based solution that allowed them to manage their district site, six school sites, and other organization sites efficiently. They also desired a renewal of the site’s design, to make it more engaging at a glance and present information in a more strategic manner. The result is a beautiful and well laid-out multi-network (yes, a network of multisites) that is easy to use for parents and staff alike. User experience was top of mind throughout the design and development process, given the vast amount of content, its deep hierarchy, and sheer number of different content types. Not only do parents and staff need to be able to find information quickly, but the staff managing the sites need to be able to do so efficiently (and without pulling their hair out). Keeping the site interface simple on the front and back end, with all the underlying complexity, was not easy, but we got it done.